In February of 2011 at the age of 39, I discovered that I had prostate cancer, and then a few months later was made redundant from my job. It really caused me to take a good hard look at my life and to see what was important. ​Today, I have found the balance and tools, we could all use, to deal with the fast pace of life and the challenges it brings. My interest in spirituality and what the purpose of life is really took hold of me in my late teens. I have read probably every well-known self-help and spiritual book on the planet. I have worked in Television for over 20 years in Hong Kong, Malaysia, London and Australia, where after climbing the corporate ladder and reaching what I had always (thought) I wanted, realized that this wasn’t it either. In February of 2011 at the age of 39, I discovered that I had prostate cancer, and then a few months later was made redundant from my job. It really caused me to take a good hard look at my life and to see what was important. It was also the time I learnt Vedic Meditation – after years of doing other styles of meditation and my friends trying to get me to learn Vedic meditation. I was now ready to try anything. After learning Vedic meditation, I had such a profound shift not only in my health and state of mind, but on a personal level too; feeling happier, more in tune with my body and with life in general. Meditation became an intergral part of my healing. For the next few years I practiced every day and while going through some treatments used it to keep me centered and completely in tune with my body. 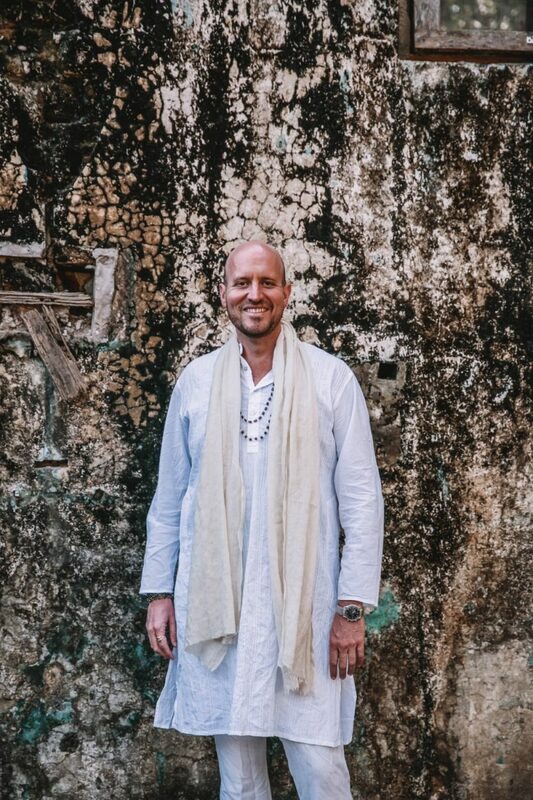 It wasn’t until I had the two years all clear, that I decided to go to India on a 10 day retreat and see where the whole tradition began. 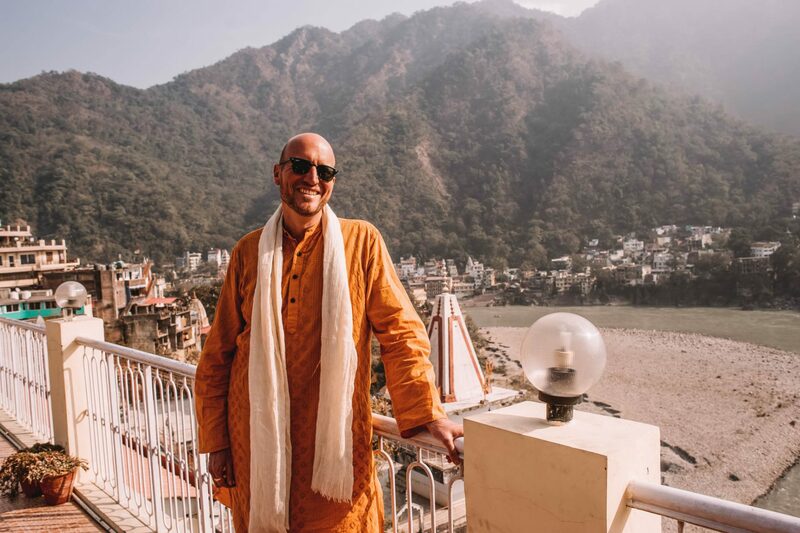 It was during this trip that I started devouring Vedic knowledge, which after years of searching for “something” seemed to speak to me in a way that made complete sense of myself and the world I lived in. It also made me want to learn as much as I could, and so began the journey that has led me here to becoming a teacher so that I can help other people find a technique and a body of knowledge that can literally revolutionize and change your life forever and only for the better. This technique and knowledge can be traced back over 5,000 years and pre-dates all religion. Over the last six years I have been studying meditation and the Vedas with pre-eminent master of Vedic knowledge, Maharishi Vyasananda (Thom Knoles). For twenty years, Thom was the beloved protégé of Maharishi Mahesh Yogi (the great sage and guru responsible for bringing meditation to the West in the 1960’s). It all begins with a simple technique of meditating twice a day for 20 minutes, if you want the knowledge that goes with it, I am happy to share it with you. If you are happy with your 20 min twice a day practice, that is fine too. You will still have the same benefits. 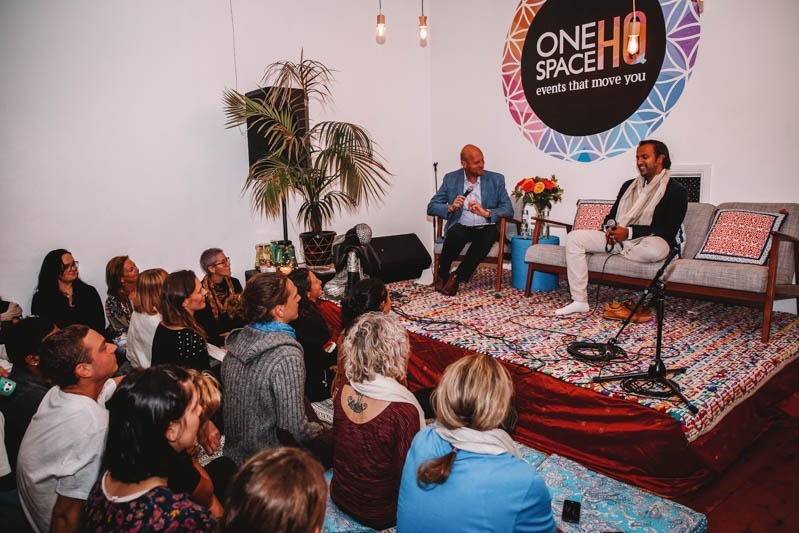 I’m an all or nothing type of person, and I am giving this my all to create a space where people can come and learn more about how we can all have full and fulfilling lives with a simple practice. Like everything in life, there are no shortcuts, this is a practice, if you give yourself the time to do this practice, the more benefits you will receive. I am here to guide you for as long as you need me. Since I discovered this practice, I have spent many years studying vedic knowledge and advancing myself through this practice. I was then trained by my teacher Thom Knoles (Maharishi Vyasananda Saraswati), the pre-eminent authority on Vedic knowledge and his master teachers. My studies culminated in a 3 month intensive teacher training immersion program in India with Thom. At the conclusion of this training I was inducted into the Shankaracharya tradition by Swami Kailashanand Brahmachari – the highest spiritual authority and the head of our Vedic tradition in India. I was the first among a very small group of westerners to have had this privilege.